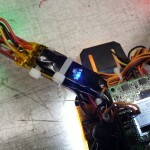 Want high power 3 Watt LEDs as a highly visible anti-collision flash, but don’t want to spend $50 on a RC-ready product? 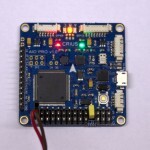 Make your own programmable device for $12.-! Read on for complete build instructions. 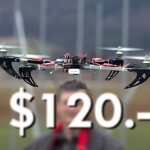 In our previous installments we took a look at the shopping list for a $120 high-performance quadcopter, then we built it. 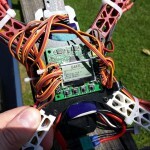 Now, we flash the ESCs with a improved firmware for added agility, and finally set up the KK 2.0 flight controller. If you’ve been following Step 1 of our series, you now have a series of silvery plastic bags, and a cardboard box with some frame parts. Now what? Thankfully, the build is very easy and not difficult at all. The Crius AIO promises loads of functionality with its many ports. But how do you hook up that GPS module anyway? We’ll show you how in this updated MultiWii 2.2 tutorial. Things are substantially easier with the new version, read on after the break. 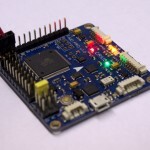 This tutorial has been rewritten for MultiWii 2.2, taking into account the new native support for uBlox GPS modules! Please follow the instructions in the new HowTo and consider the article below to be outdated.